Our range of products include industrial kitchen setup. 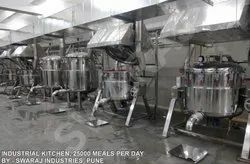 Complete Solution provider for Industrial & Mega Kitchens suitable for 5000 to 100000 Meals per Day. Looking for Industrial Cooking Equipments ?